Currently, networks for real-time Global Navigation Satellite System positioning (Continuously Operating Reference Stations) are formed by stations with inter-station distances of about 50–60 km. In addition, their products are used for post-processing, particularly where there is no coverage, for the transmission of differential corrections in real time. The purpose of this study is to determine whether Network Real-Time Kinematic networks with larger inter-station distances (of about 100 and 150 km) can improve post-processing positioning. 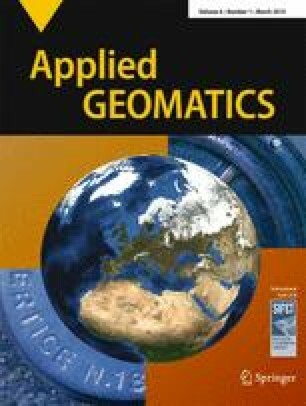 Many experiments were performed over several months using two geodetic and two GIS receivers and a rover placed in a centroid position with respect to the networks considered. The data were post-processed using the nearest station (called Nearest) or a virtual station created from the network software located near the receiver (Virtual RINEX) as a master receiver. The brief title of the work is intended to emphasise the limitations of the results obtained in post-processing when the inter-station distance between the permanent stations is increased and not the limitations related to network products.